“Ordinary psychosis doesn’t have a rigid definition. Everyone is welcome to give his feeling and definition on ordinary psychosis. I didn’t invent a concept with ordinary psychosis. I invented a word, I invented an expression, I invented a signifier and I gave a very sketchy definition, just to attract the various meanings, the various shades of meaning, around the signifier. I didn’t give any know-how as to how to use this signifier. I bet that this signifier could elicit various echoes in the clinician, in the professional, and I wanted it to grow, and see how far this evasive expression would go. Jacques-Alain Miller – “Ordinary Psychosis Revisited”, Psychoanalytical Notebooks, No. 26, Psychosis Today, 2013. This is no ordinary volume. This is not a dictionary on ordinary or extraordinary psychoses. This is not a manual on transference. 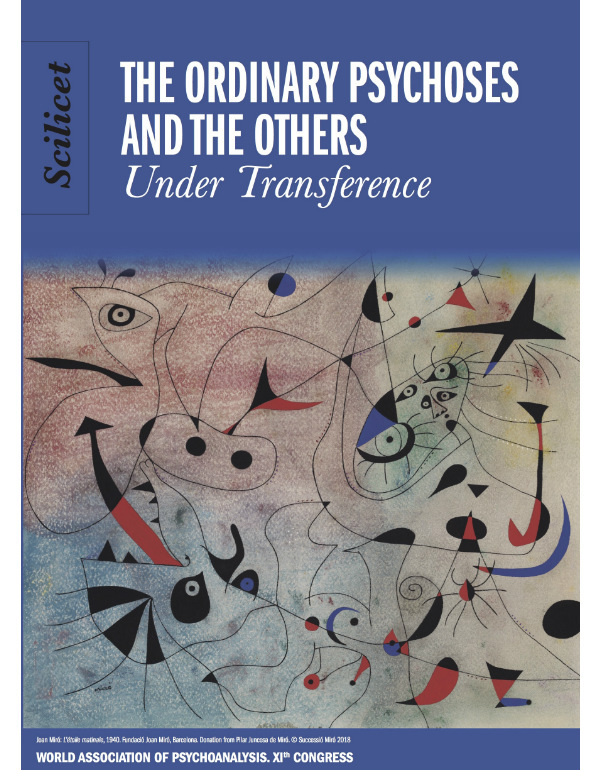 This is a collection of formulations by 110 psychoanalysts of the World Association of Psychoanalysis on 105 diverse terms carefully chosen to show us something new: 21stcentury psychoses and their Lacanian psychoanalytic treatments.